July 26, 2018 – Mandarin Oriental, Canouan brings the Group’s renowned levels of service to the Caribbean for the first time. Located in St. Vincent and The Grenadines, the resort sits on an immaculate stretch of Godahl Beach that is protected by the Caribbean’s largest natural living coral reef, offering guests an idyllic island escape. 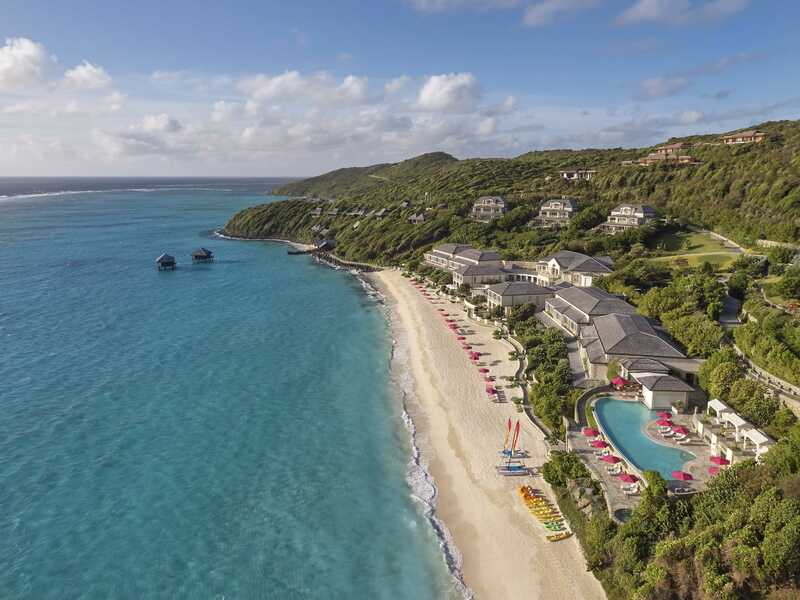 In celebration of Mandarin Oriental, Canouan’s debut, the following promotions have been created to showcase the resort’s exceptional level of luxury hospitality. Enjoy four decadent nights at the resort and after decompressing, take to the sea on a private yacht for seven nights of island-hopping. Churchill Yacht Partners, a charter company renowned for its exceptional service and exclusive collection of luxury mega yachts, provide fully-crewed vessels including the 130’ Westport motor yacht named Far Niente, the 99’Pura Vida Moonen motor yacht, and the 116’ Holland Jachtbouw sailing sloop, Whisper. Itineraries are fully customized and include visits to a selection of islands such as Bequia, Mustique, the Tobago Cays, Mayreau, Petit St. Vincent and Grenada. For reservations, visit the website offers page at https://www.mandarinoriental.com/canouan/pink-sand-beach/luxury-hotel/offers for more details. Jet Away & Play experiences are bespoke. For reservations, visit the website offers page at https://www.mandarinoriental.com/canouan/pink-sand-beach/luxury-hotel/offers for more details. Located in St. Vincent & The Grenadines, Mandarin Oriental, Canouan is Mandarin Oriental’s first Caribbean resort and a hidden gem waiting to be discovered. The resort elegantly blends colonial and chic contemporary styles among its lavish suites and stylishly sophisticated villas. Mindfully built with impeccable attention to detail, the resort features a selection of restaurants that serve a variety of international culinary delights in beautifully appointed settings. The Spa at Mandarin Oriental, Canouan indulges guests with stunning sea-views in en-suite, hillside treatment palapas and therapists meticulously trained to relax, sooth and decompress. Canouan Island’s immaculate beaches, championship 18-hole, Fazio-designed golf course and luxury super-yacht marina provide a wide range of activities to be enjoyed with Mandarin Oriental’s legendary service and warm welcoming smiles that bring a new level of hospitality to the Caribbean.